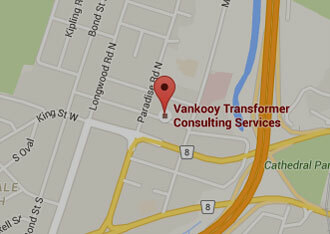 In our Transformer Consulting Services business, we often draw an analogy between transformers and the human condition. Transformers like people have a relatively long life span and longevity is related to genetics, work environment, maintenance and the unpredictable negative occurrences that impact our lives. Just like human population trends, transformers have also seen peaks and valleys in installation responding to the ebb and flow of energy needs. The following chart tracks the sales of transformers about 20 MVA and above, from a major Manufacturer and is typical for transformer populations across North America. We can see a general high buying trend from the late 1950’s to the late 1960’s (with some dramatic valleys). There was a general slowing but still significant output during the 1970’s followed by a peak in the early 1980’s. From the mid 1980’s to the mid 1990’s there was a dramatic decline in need. Since the mid 1990’s there has been a steady increase in demand from the North American markets. The discussion of how long a transformer will last is at least a 2 or 3 beer conversation, but if we draw a line in the sand and say life expectancy is 35 – 40 years, then it is apparent that we have a substantial “aging population” that must be prepared for. Although this is a sensitive subject for obvious reasons, there have always been “low cost” suppliers and “brand name” suppliers. Even though all transformers should be built to a national Standard (CSA, ANSI/IEEE, IEC), there is significant leeway to allow manufacturers to find varying cost alternatives in design and material. Even within a “brand name” supplier’s history, there will be glitches (after all, transformers are made by people). Also, all suppliers are subject to the almost inevitable increase in risk factors as transformer size (MVA) and Voltage Class have grown over the years. This article deals primarily with mature transformers, but even today it is an important question to ask suppliers unknown to a Customer for experience lists. Transformers are applied in many situations under varying conditions. A Utility will employ power transformers in Generation and Transmission roles. Transformers connected to generators will typically be operated at or near full load continuously. If there is a slowdown, the transformer may drop to zero load and then may be required to go to full load very quickly. Transmission transformers are typically applied in pairs with each transformer carrying about half full load (this is changing of course). The transmission load will vary with time of day, season and with increased or decreased general load conditions. Transformer used by Industry have a myriad of applications, too many to cover in this article, but they are generally worked harder than in a Utility application. In addition to potential stressful applications they are also subjected to difficult environments of temperature and contamination that can have a negative impact on life span. Transformers, somewhat unlike people, age significantly slower if they are not loaded to capacity. Age is measured not only in years of service but is also moderated by the load carried. This category of stress would include lightning strikes, short circuits, temporary excessive overloading and mechanical damage. This data may be hard to track but can be significant as the impact tend to be cumulative. An older transformer may fail because of a single (the last straw) lightning strike or short circuit but in reality, the insulation system has been stressed and weakened over time by a succession of events. My point in the context of this paper is that maintenance/testing methods and cycles should be based on the importance of the equipment to the system or process, the application, and the relative age of the equipment. I would suggest a different monitoring approach for a 5-year- old, 30 MVA transmission transformer as opposed to a 300 MVA, 25-year-old generator transformer or a 15 MVA, 35-year-old Industrial application transformer. When looking at the Field Test results, which would include Power Factor, Insulation Resistance, Standard Oil sample results, Dissolved Gas in Oil sample results and Furan analysis, we should not expect comparable results for the transformer examples given above. Failure statistics predicting end of life are not available for the Canadian population of transformers. It is generally believed that “bathtub” curve shown above is representative of transformer failure trends. In the first few years, the raised failure rate is due to design and application failures, followed by a period of a low stable failure rates for the majority of the equipment life. Approaching End of Life, the failure rate ramps upwards. There is a large installed base of transformers built in the late 1950’s and 1960’s that are aging, some gracefully, some not. This equipment forms the core of many Utility and Industrial systems. This older equipment should have increased surveillance as they approach end of life. When reviewing Field test records it is always best to compare results from similar transformers. This is not always possible with a small sample of installed equipment. Efforts should be made to assemble and share maintenance/test data to allow comparison and hopefully spot negative trends in segments of the transformer population. Transformer users and maintainers must assess their older transformers installed during the construction boom periods to ensure that these transformers do not end their lives with a BOOM!